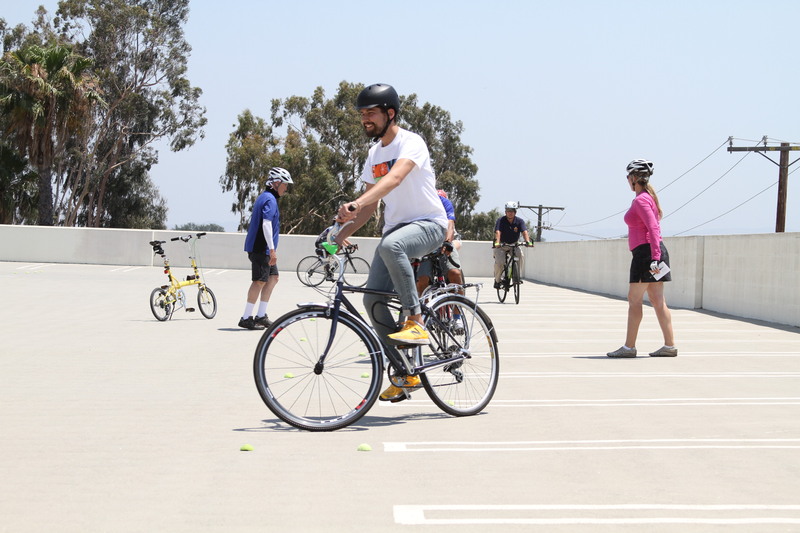 Come learn cycling skills with helpful insights from friendly League Certified Instructors. 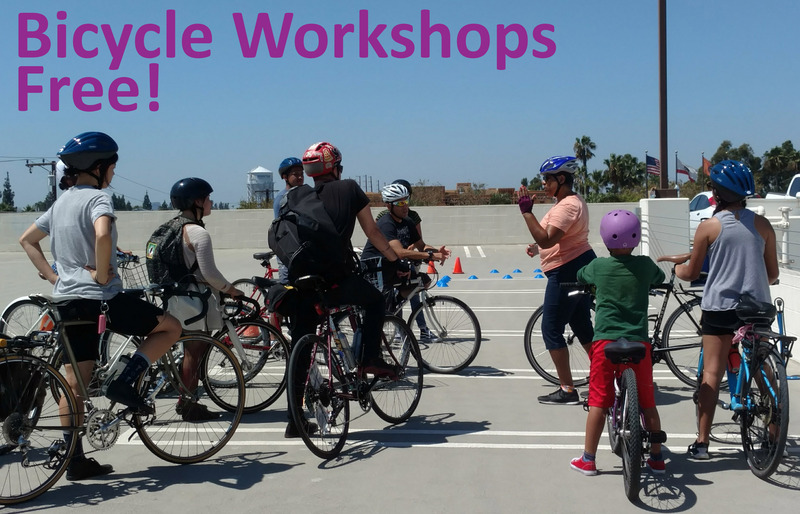 Workshops are fun interactive sessions aimed at preparing all cyclists to better enjoy their 2-wheeled adventures. Everybody is welcome to come build their confidence at any of our 3 different workshops. Learn basic skills and gain confidence to enjoy riding your bicycle! Ride a straight line, balance, shift gears, dodge hazards, scan, signal, turn, yield, start and stop. We’ll also cover the rules of the road, riding in the street, maintaining a bike in good condition, common car/bike collisions and ways to prevent and avoid them. Students who complete the class will not only learn of the importance of helmet use when riding a bicycle, they will also get their very own fitted helmet and LED bike lights. Above all, those who complete the Bici Basics Workshop will begin budding into safer more legal bicycle riders as they get around town. Let’s take the fundamentals to the next level and build your confidence to ride in traffic safely, and legally, on your own! Increase your cycling knowledge and habits as we focus on your rights and responsibilities as a cyclist, including the rules of the road while riding in the street; League Certified Instructors will also emphasize on safety awareness as well as emergency maneuvers to prevent and avoid common car/bike collisions. Students who complete the workshop will gain insights into the importance of helmet use when riding a bicycle, they will also get their very own fitted helmet and LED bike lights. Become better equipped to continue your two-wheeled travels more comfortably, safely, and legally. Interested in becoming a bicycle champion? One that can spread bicycle safety knowledge in your community? Join the ranks of League Certified Instructors with a 3 day course that covers the League of American Bicyclists curriculum in depth. Candidates that complete the course will have a complete understanding about safe and legal cycling principles, as well as the ability to present the principles as a League Certified Instructor (LCI). Other benefits include: access to their instruction resources, teaching skills and techniques, as well as insurance coverage for instructing seminars/classes/workshops. Bike Rides are fun together!! Get your friends/family/coworkers signed up! email us at info@saascoalition.org OR send us a text at 714-715-6130 Or sign up below!